Everyone knows the theories behind losing fat and increasing muscle in order to improving body composition. Maybe not specifics, but in a general sense: eat the proper amount of calories, reduce sugar intake, eat fruits and vegetables, exercise, get good sleep. All of that is great and is effective. But one major aspect plays a HUGE role. It is an aspect that is underplayed and that I have seen the results of first hand recently. That major player is STRESS. And more specifically, the effects of sustained increased stress levels when it comes to the ability to lose body fat. Your lifestyle will only get you so far, as I have found out recently. 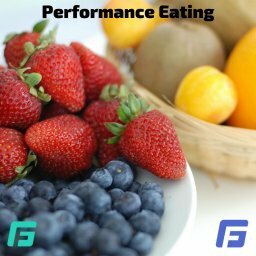 My nutrition was on point, as it always had been, my training was more focused and I was back doing double sessions at least twice a week and sometimes three times a week, the amount of sleep I was getting each night had improved, and yet nothing was changing. Now don’t get me wrong, I was making progress with my training, as my lifts were getting stronger and I skills were improving, but it was frustrating me that I wasn’t getting the muscle definition back that I had when prior. I work with athletes daily for just that purpose and I was failing myself, in my mind. And then one day everything changed. I looked in the mirror and noticed my ab definition was returning. But nothing in my life had changed…or had it? One week prior to that, a MAJOR stressor in my life had finally been resolved. A stressor I had been dealing with for nearly a year. Just by getting that stressor finally resolved and off my plate, the body composition began to improve. It was eye opening to me. 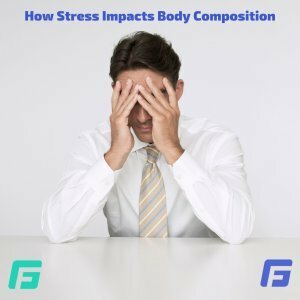 I knew stress played a role in body composition, but I had never seen it so directly before. So why does this happen? Cortisol has been shown to increase insulin levels, increase glucose in the bloodstream, cause people to crave sugary foods, increase the stores of belly fat, and increase water retention, all of which can contribute to the inability to lose fat. Along with that, increased cortisol levels can cause decreased testosterone levels. With decreased testosterone, it is more difficult to both maintain as well as increase muscle mass. This will naturally result in decreased strength and power, which I also had noticed the past 6-8 months and had also improved significantly within a week or so of the stress being reduced. Along with that, decreased muscle mass can contribute to the weight gain, or at least holding onto body fat, as your metabolism decreases as muscle is lost. All of those possibilities can result in a body composition that is not ideal for a performance athlete. Given all the information, it just makes sense that you will not achieve your ideal body composition while under high stress situations. 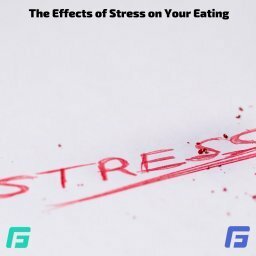 If you are doing everything you can in regards to nutrition, training, and sleep, and still not making the progress you feel you should be making, take a look at your stress levels. THAT may be the issue that needs to be addressed. More questions about this or my situation in particular? Email me at brianne@getyorufixpt.com. I am happy to answer any questions you may have.